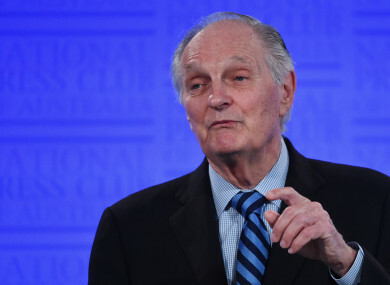 ALAN ALDA, WHO starred as wise-cracking army doctor Hawkeye Pierce in the long-running television comedy series MASH revealed on that he has Parkinson’s disease. Alda, 82, said he was diagnosed with the nervous system disorder three and a half years ago. “I decided to let people know I have Parkinson’s to encourage others to take action,” he said in a statement on Twitter. “My life is full. I act, I give talks, I do my podcast,” he said. “I take boxing lessons 3 days a week, play singles tennis twice a week, and take a mild pill. In an appearance on CBS This Morning, Alda said the only symptom he has experienced so far is twitching in his thumb. Besides MASH, the Emmy-winning Alda appeared on the popular TV political drama series The West Wing and was nominated for an Oscar for the movie The Aviator. Email “MASH star Alan Alda has Parkinson's disease”. Feedback on “MASH star Alan Alda has Parkinson's disease”.